Stuffed cabbage, or Golabki, is a cabbage roll common in Polish cuisine made from lightly soft-boiled cabbage leaves wrapped around minced pork or beef, chopped onions, and rice, which can be baked in a casserole dish, made on the stove top or even in a slow cooker. They are usually topped and served with a tomato based sauce. Goląbki are often served during the Christmas season and on festive occasions such as weddings and are very popular amongst the Polish American community. My first exposure to stuffed cabbage was right after I got married. They are fairly easy to make and can be made ahead of time or as I like, leftovers. 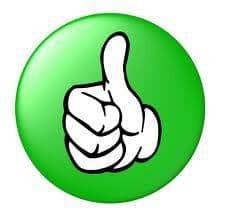 Be sure to check out the tips I’ve shared at the end of the post. To get started, I prepared a batch of my Perfectly Baked Rice the night before and let cool. It’s super easy to make rice this way and I’ll never make it on the stove again. I could never get it right. This way comes out perfect every time I do it. The next thing to think about is the cabbage. I have tips at the end of the post on how to soften it but you also want to remove the white hard part of the core with a sharp a knife. This will leave the leaf with a V shape cut out. But that’s ok. You just want to remove it because it’s a little tough. 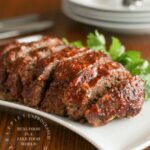 When it comes to what type of beef to use for this recipe, I suggest you use 90% lean ground beef. I say this only because a fattier cut will result in a lot of grease. Keep in mind the beef is rolled uncooked so there isn’t a way to drain the grease. I did mix it with a little pork, again, a very lean meat. The ratio of beef to pork is a personal preference so feel free to tweak this to your liking. Once you get the mixture the way you like it you want to roll it into a little log. Rolling it like this keeps it compact and helps the cabbage keep it’s shape as it’s cooking as well as when they are eaten. Put the beef mixture towards the core and then fold it up once, grab both side and tuck them in and continue rolling. Now here comes the best part for me! The majority of stuffed cabbage recipes called for Campbell’s condensed tomato soup which left me very frustrated since I didn’t want to ruin these great little cabbages with preservatives, MSG, BPH etc. so I played around until I made my own. You can click here for that recipe. 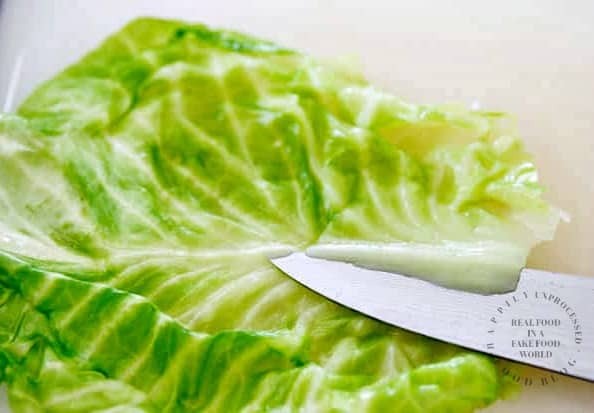 Try removing as much of the core as you can before putting the cabbage in water. Also using a pair of tongs can help remove the leaves as they soften. Make sure there is a good ratio of meat to rice. You want more meat, so I found a 3:1 ratio a perfect balance. Grab a spoonful of the beef and rice and roll it into a little logs before placing it in the leaf. This will give a nice firmer center. Layer some extra cabbage leaves on the bottom of the pan and in between the rolled cabbage. This extra layer will help prevent them from unrolling and staying moist. Once the rolls are fully cooked and taken out of the oven, let them stand at least 30 minutes. This gives the flavors a chance to combine and it gives them a chance to cool a little. Be sure to use a lean beef otherwise a fattier meat can make the cabbage rolls greasy. One of my favorite ways to eat stuffed cabbage it is topped with sauerkraut ! 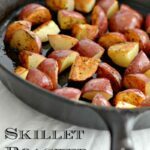 A great side dish would be something bland such as steamed potatoes. Prepare a 9 x 13 baking dish by putting a few cabbage leaves (broken or whole) on the bottom and layer with a little sauce. Set aside. Begin by making the roux for the tomato sauce by melting the butter in small saucepan over low/medium heat. Once melted, add the flour and continue cooking another minute or two while whisking to prevent burning. Add the tomato juice and the rest of the ingredients and let simmer for 15 minutes. In a large pot of boiling water, place the cabbage and let it boil for 5-7 minutes, turning over occasionally. Remove outer leaves as they soften with a pair of tongs or remove the entire head of cabbage and once cool enough to handle, remove 12-14 leaves. Combine the ingredients for the filling in a large bowl and using your hands, gently mix until it is combined. Using a large spoon shape the meat mixture into a log shape and continue until all meat is used. Place the filling in the cabbage leaf close to the core. Fold once, then grab both sides and fold in, continue rolling and place in a 9 x 13 baking dish. Cover with remaining sauce, and additional leaves if desired. Cover with foil and bake for 50 min – 1 hour. I was tempted to leave the butter out and even just use tomato soup. Wish I had. The roux came out on the greasy side, which might often be a good thing, not this time though. Looks like a great recipe. I am polish in heritage and my grandmother made the best! I love that you use sour kraut! I will try this and let you know how it turnes out. I also have to use skinned and seedless tomato purée. But I can’t wait to try it tomorrow! Can I substitute ground turkey for the ground pork? I don’t see why not Julie. Let me know how it turns out. I’m sure there are others who are interested in your variation as well. I was tempted to, but opted out because turkeycan impart a slightly gamey flavor. Pork is pretty neutral. Your recipe comes very close to our Czech recipe. I have 12 rolls in the oven now. Give me a suggestion as to what side dishes go with. Mom always fried some potatoes. 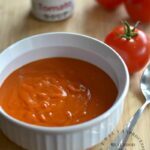 My grandmother used a very large can Heinz Tomato juice flavoured with salt, pepper and a dash of sugar.to make a thicker sauce you can include some tomato paste. Just pour it over the rolled cabbage rolls and add more as needed. 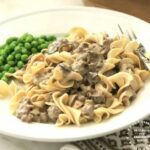 how do i use the slow cooker instead of oven?? You can put a little of the sauce in the bottom of the slow cooker (or spray) and place the stuffed cabbage leaves in 2 layers. Pour the sauce over them and cook on low. I’d start poking them to see if they are cooked at about the 6 hr mark. If you want to do it on high, start poking at the 3 hr mark. I’m trying your recipe right now. But you don’t specify when to use the tomato sauce. Or maybe I missed it? 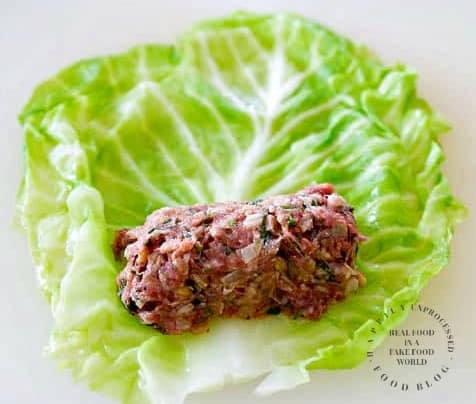 Some recipes call for adding the sauce to the meat mixture and some want you to pour the sauce on top of the stuffed and rolled cabbage before baking. I’m Polish and grew up eating these but unfortunately, I didn’t pay too much attention when my Babcia was making them. I just remember her Golumpki had a nice but light tomato sauce base. I was looking for a Golumki recipe (the way my Polish friend and relatives called it) that didn’t have Tomato Soup in it – I really, really detest canned Tomato Soup – gross. Too sweet and too full of “God know what”! So glad I found your post. I plan to give it a shot for tomorrow night’s dinner. This looks awesome! 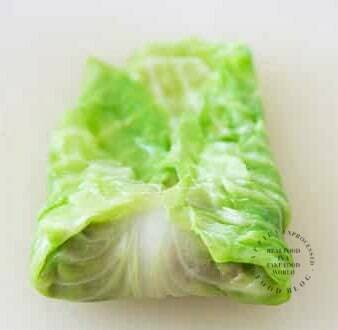 I freeze the cabbage head and dethaw for easy removal and easy rolling. Trying ground turkey with ground pork tomorrow. This was a staple in our house. Gramma always called it Gwemke. Your recipe does not include the rice. Was this an omission or a variation??? This is so good! I used ground turkey and brown rice for the filling to and followed the sauce recipe. Amazing! I loved the title (no canned soup). Why? My Polish dad used canned tomato soup. Your tomato sauce looks good. My personal tweak was to use a good marinara sauce which is probably equivalent to the sauce you came up with here using ketchup, juice, garlic powder, etc.